If your not-for-profit is contemplating a merger or acquisition with another organization, you have a lot of work ahead of you. One of the most daunting challenges is keeping leaders focused and invested in the process. Most nonprofits are run by both board members and internal management, and this structure can bog down decision making and make transitions difficult. 1. Idea. Internal managers, and then board leadership, typically meet as a group to discuss the benefits of joining forces. 2. Formalizing. Here, the two nonprofits formalize their decision to combine. This can be achieved in a letter of intent that outlines expectations, agreed-upon roles for each organization and a timeframe. It’s in this phase that the two organizations and their leaders learn about each other and decide whether they want to go forward with the plan. 3. Development. Key leaders must be evaluated for their complementary skills and the role each might play in the new organization. Also, the board and management must develop a shared vision for the new organization. Mutual respect and trust, flexibility, and a willingness to compromise are important at this stage. 4. Due diligence. Due diligence involves formal research into each of the combining organizations. Leaders ensure that financial and legal advisors have the materials they need to review and evaluate issues and potential impediments to the proposed merger. 5. Transition. Planned changes are implemented during this final phase, making it the most difficult and time-consuming for leadership. You may need to make an official name change, apply for a new tax-exempt status, communicate changes with the community and physically move locations. Your organization’s leaders should participate in evaluating the strategic potential of a merger and preparing the transition. 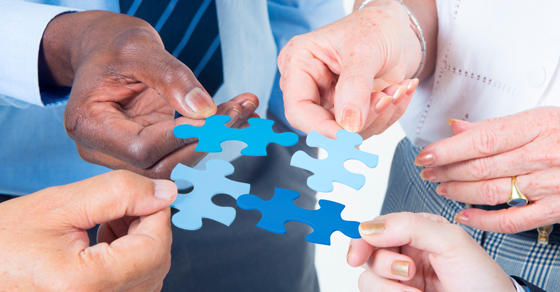 Some of your executives and board members may have experience combining organizations. But even with such in-house expertise, your nonprofit needs to involve professionals such as accountants and attorneys in the process. Contact us for information.